My favourite X-Men, Wolverine, is finally back in The Wolverine movie. I’ve been waiting to watch it forever and it finally premiered on 15 August in Kuwait. 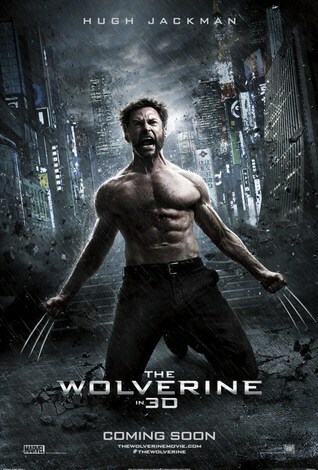 Of all the movies I’ve been waiting for this year, The Wolverine might very well be my favourite. Imagine an angry and broody Wolverine, going to Tokyo, fighting off an old enemy, sword fighting with Ninjas and Samurais, a gorgeous new Japanese love interest, and a final fight in the snowy mountains of Japan. Need I say more? I didn’t want the movie to end, it was that good and I loved each and every scene. Wolverine loses something very dear in the end and it kinda makes me sad -and mad- at the same time. Wait a few minutes after the cast credits start rolling and you will find an amazing X-Men related scene that made me almost jump up and down. If you’ve watched the post-credits X-Men 3 scene you’d understand how the Wolverine scene would be possible. I personally cannot wait for The Wolverine to be added to my X-Men DVD collection and for what seems like a fifth X-Men movie coming out!